Certain foods and drinks can affect your seasonal allergies. 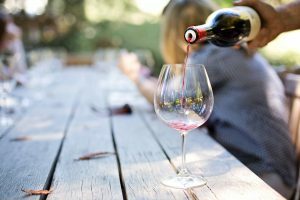 One of the reasons for this is that some foods and drinks contain histamines, which can both cause or worsen allergies. Because of climate change, experts are predicting a worse-than-average spring allergy season – and for the situation to only escalate as time goes on. Foods can trigger ‘oral allergy syndrome’, a condition that causes pollen-induced allergy-sufferers to experience an itchy mouth or throat after eating certain fruits and vegetables. This happens because some of the proteins found in these fruits and vegetables are related to those found in the pollens that cause the seasonal allergy. The fruits and vegetables to avoid depend on the related pollens; for example those with grass allergies should avoid celery for example. 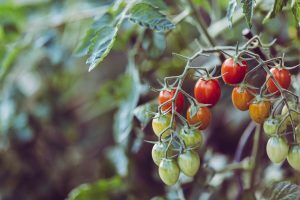 Both rich in histamines and a known cross-reactor with grass pollens, tomatoes can be a bad choice during peak allergy season. If your symptoms seem to be worsening, you may want to consider avoiding tomatoes. Btw the skin and seeds are the most inflammatory and cooking tomatoes lessens their inflammatory effect. Sensitivity to wheat doesn’t manifest only as digestive problems, it contributes to oversensitivity to environmental factors as well. Wheat sensitivity can cause problems you might not expect like nasal congestion, asthma, sore throat, and itchy eyes. 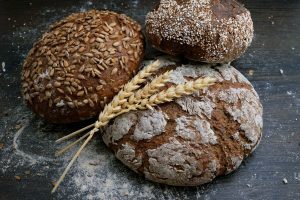 The culprit in wheat is gluten, a protein that triggers an autoimmune response thus causing inflammation. And the toxic form of folic acid called folate that has been added to our we=heat since the early 90’s. Try spelt instead. Many items that are aged, pickled, or fermented have naturally-occurring histamines (the histamines are produced by yeast or bacteria during the fermentation process) and can lead to sneezing, itching, coughing, and headache. 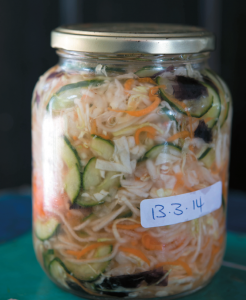 If you suffer from seasonal allergies, eating and drinking fermented foods could make your symptoms worse.